Day And Night Time Change Concept Of Beautiful Springtime Landscape.. Stock Photo, Picture And Royalty Free Image. Image 115465599. 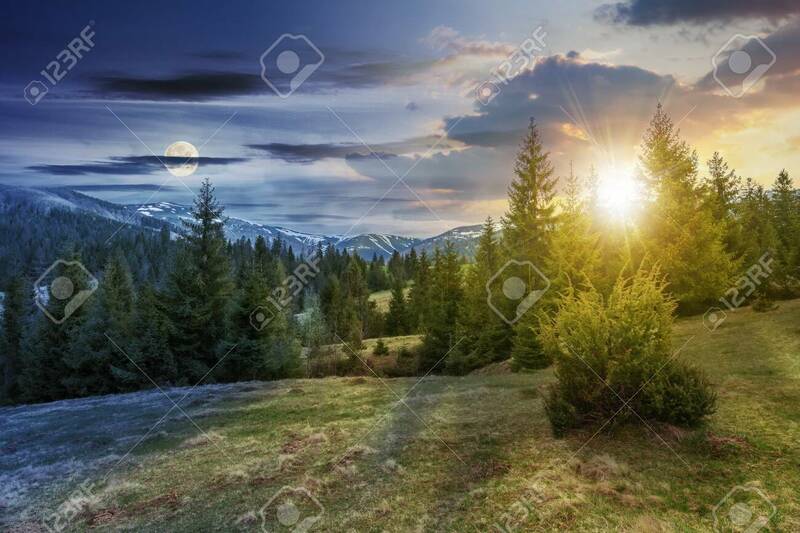 Stock Photo - day and night time change concept of beautiful springtime landscape with sun and moon. spruce forest on grassy hillside meadow. spots of snow on distant ridge. day and night time change concept of beautiful springtime landscape with sun and moon. spruce forest on grassy hillside meadow. spots of snow on distant ridge.